Years ago, I used to be a runner. When I was in my twenties, I lived in Arizona and ran to my heart’s content every morning. While I liked to call myself motivated and driven, my friends used other adjectives like crazy and insane. Looking back, I guess I can see why; waking up at 4:00 a.m. to lace up my Nikes and charge 20 miles down cactus-lined roads does seem (maybe just) a little bit lunatic. Two decades after I began this workout regiment, I began to feel the aftereffects. A sour cocktail of years of hard running plus bad genetics landed me in the hospital undergoing knee surgery in my forties. This was one of the driving forces that took me to my current passion of cycling. After discussing exercise options with my doctor, he recommended that I buy a bicycle after I healed due to the low impact it has on the knees. Years later, I’m beyond glad that I followed his advice. Not only have I found the best sport for my knees, which are now replaced, but I’ve found a new way of life. Obvious from the two blogs I dedicate to cycling (this one and my picture-based blog at www.bartonhaynes.com), I spend a great deal of my off-work time on my bicycle. 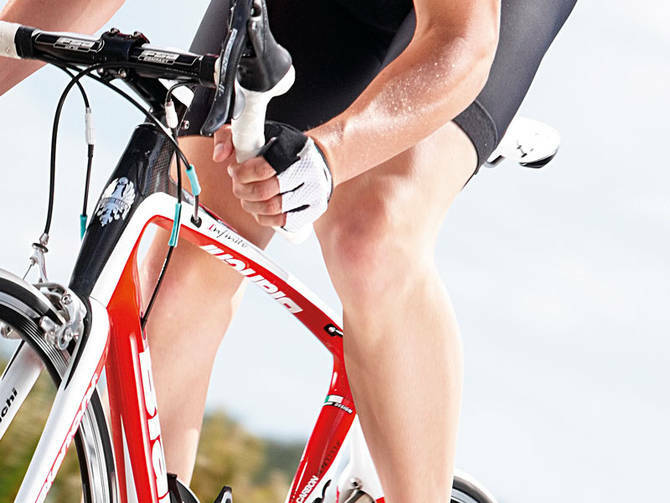 So why is cycling good for your knees? Well, first of all, it doesn’t involve excess flexing like you see extreme weight lifters doing. These exercises that involve sudden starts and stops can be extremely damaging. Other sports that fit within this group are basketball, soccer, football, and even racquetball and tennis. These sports all involve sprinting and suddenly stopping. This is bad news for someone trying to protect their knees. 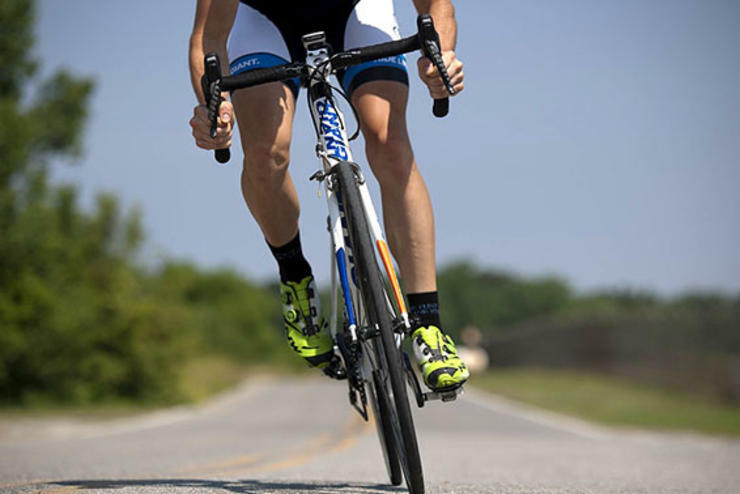 Cycling targets the quadriceps and hamstrings in your legs, both of which support the knee joint. Therefore, it’s the most ideal sport that not only helps you to avoid knee injury, but helps to prevent it. As a word of caution, however, I do have to say that those who aren’t cycling properly could be damaging their knees by practicing improper riding techniques. For example, riders who don’t build momentum but instead charge out of their garages are most likely doing damage to their knees. Ramping up too quickly will only do what basketball or soccer players do as I mentioned above: stopping and starting and putting extreme strain on your knees. 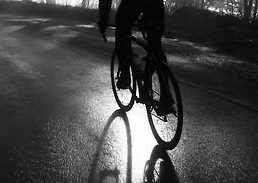 Other ways in which cyclists can hurt their knees include when they sit improperly in their seats, when their cleats aren’t in good shape, and if they don’t have a good range of motion due to a lack of flexibility and stretching. 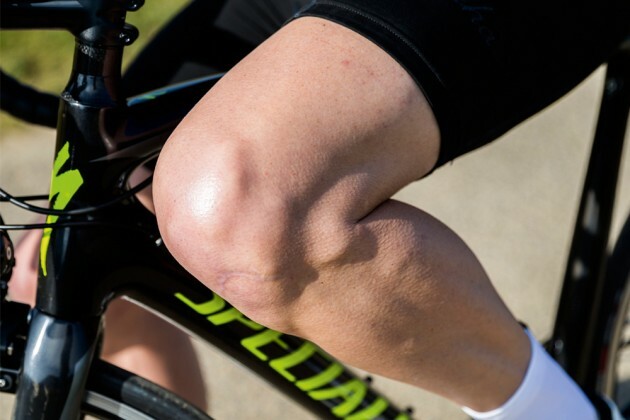 For those of you wondering whether or not your knee pain is caused by cycling habits, make sure and check these points to see if you’re putting unnecessary strain on your knees. All in all, I’m very glad that I made the switch from running to cycling later in my life. I wish I would have started from the get-go with cycling only to save my knees, but I’m glad I can share this news with all of you now in hopes that you will all be cautious with hard-impact sports. As always, fellow cyclists, happy riding to you!